Travelling is an experience and in Italy food is the main experience. Panettone is the sweet of Milan since the XV century and is a typical Christmas sweet. Now just one Panettone bakers produce handmade panettone all year long and it is Vergani, since 1944 and here you can find the original milanese breakfast named barbajada. 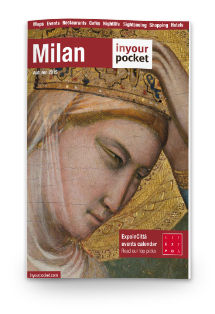 Now with MilanoCard you can taste the original Panettone all year long! “Buy online MilanoCard and receive a free handmade panettone* directly at Vegani shop showing the confirmation voucher or confirmation of payment at Vergani Store. (Max 1 panettone free every 3 persons, just show the payment receipt). If you buy an ice cream at Vergani you have a tasting of panettone! Taste the Summer with Vergani! An unconventional ice cream dedicated to all “panettone addicted”. You can find a panettone-flavored ice cream, and other selected traditional tastings as pistachio, cream, nut, chocolate, vanilla, all hand-made with only first-rate quality. Don’t miss the chance: try it with a slice of toasted panettone, the excellence of taste mixed to the temptation of a good ice cream.